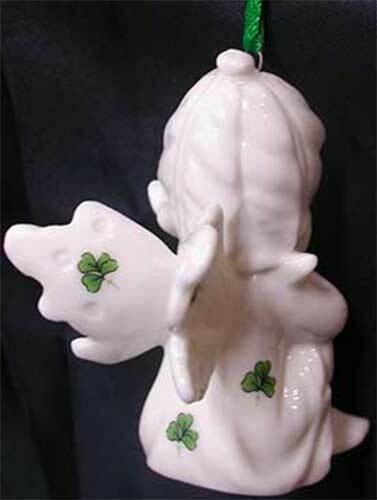 Irish Christmas ornament features a fairy that is enhanced with shamrocks. This Irish ornament is made in Ireland by Liffey Artefacts. This Christmas ornament features an Irish fairy that is enhanced with shamrocks. 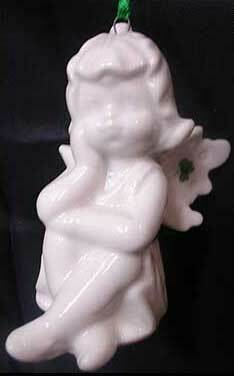 The Irish fairy ornament is made of white ceramic and measures 1 1/2" wide x 2 3/4" tall x 2 3/4" deep. The Irish ornament it is ready to hang on your Christmas tree with the included green ribbon. 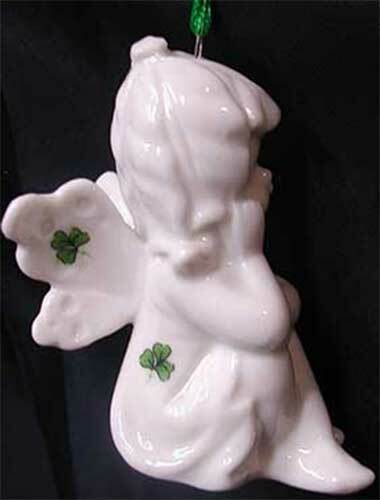 This Irish pixie ornament is gift boxed with a shamrock history card, complements of The Irish Gift House. 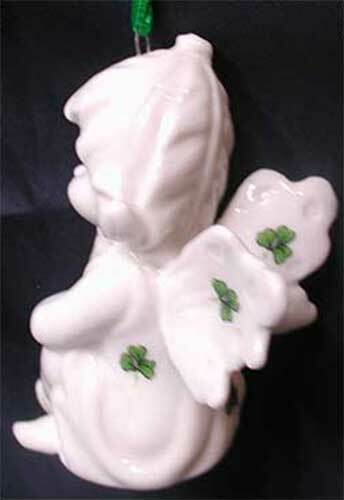 Irish ornament features a Christmas fairy that is enhanced with shamrocks.